Our consignment of Weigh feeders getting ready for dispatch to Vanya Steel, Koppal. Weigh Feeders from AAG Engineering Technologies are used to control the bulk material flow rate into a process or to blend products on a continuous basis. 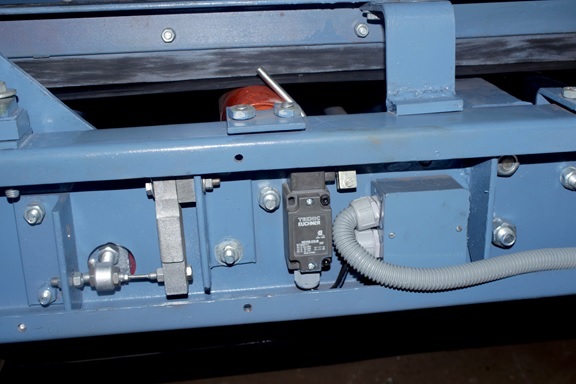 Our Weigh feeders can extract material at a specified rate, or batch a pre-defined amount of material. 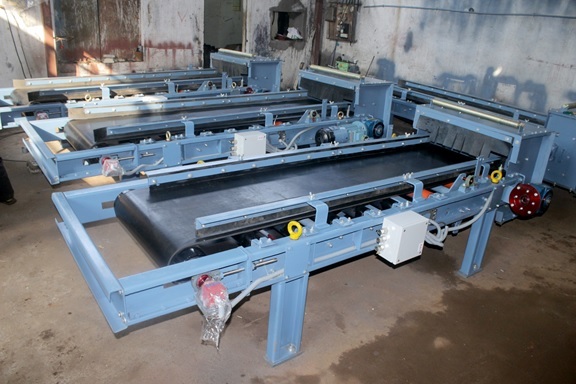 Weigh Feeders provide continuous weighing with better accuracy than both Belt Weighers and Weigh Belt Conveyors because the cross-sectional area does not change. 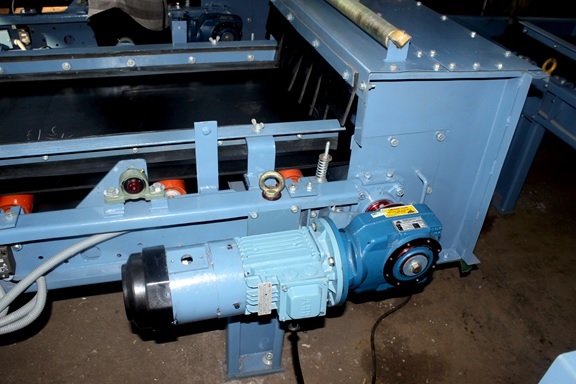 Changes in bulk density are accommodated by the weigh controller which has the ability to increase and decrease the belt speed as required.